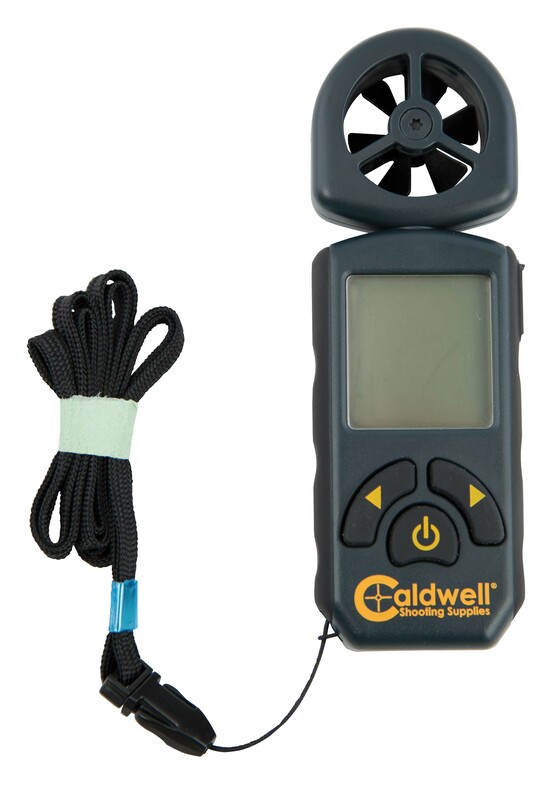 The Caldwell® CrossWind™ Professional Wind Meter was designed to be the best wind meter on the market for ballistic application. 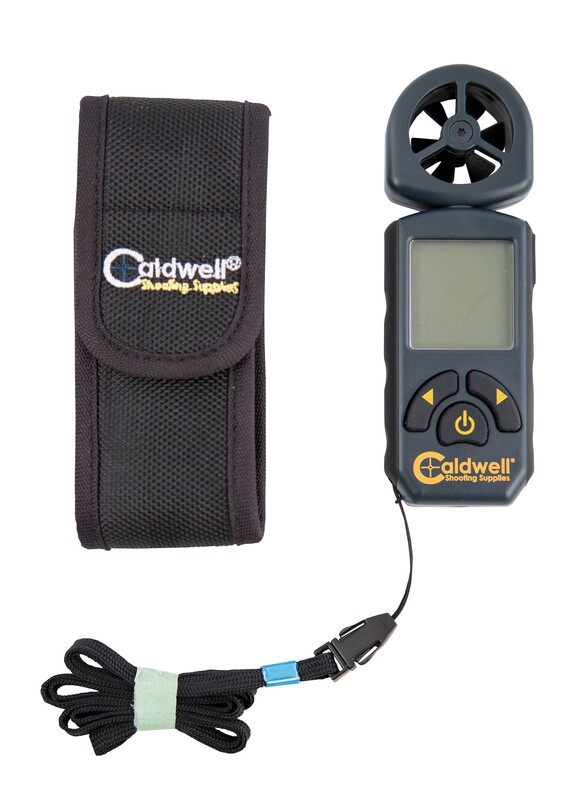 Knowing wind speed gives the shooter the ability to more accurately judge shot placement in varying wind conditions. 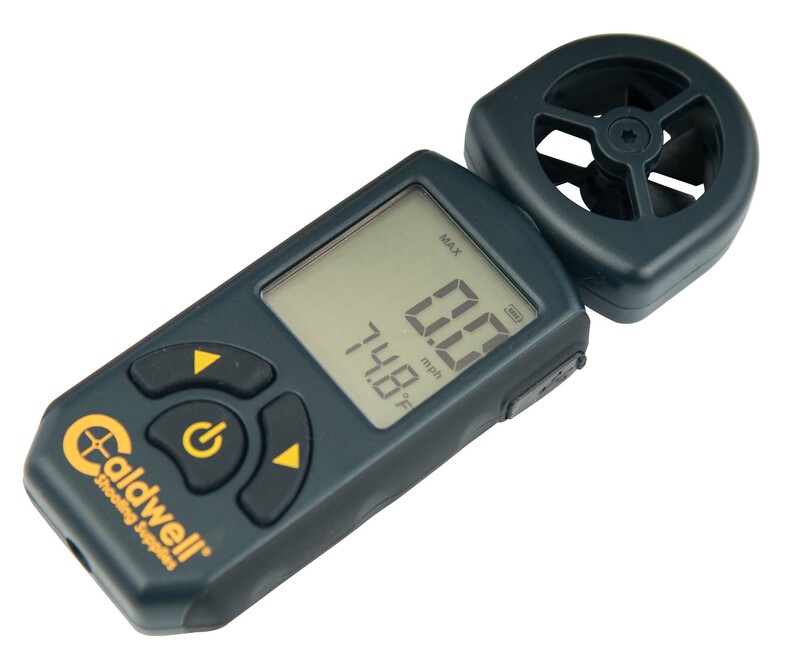 The 90° rotating anemometer head allows you to measure exactly how much Crosswind will be applied on the side of your bullet without ever having to move the wind meter or do angle calculations. 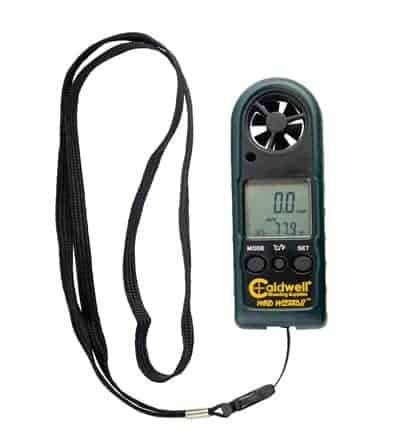 Both compact and portable, this wind meter reads Current Wind Speed, Average Wind Speed, Max Wind Gust, Temperature and even Density Altitude, Altitude or Barometric Pressure. 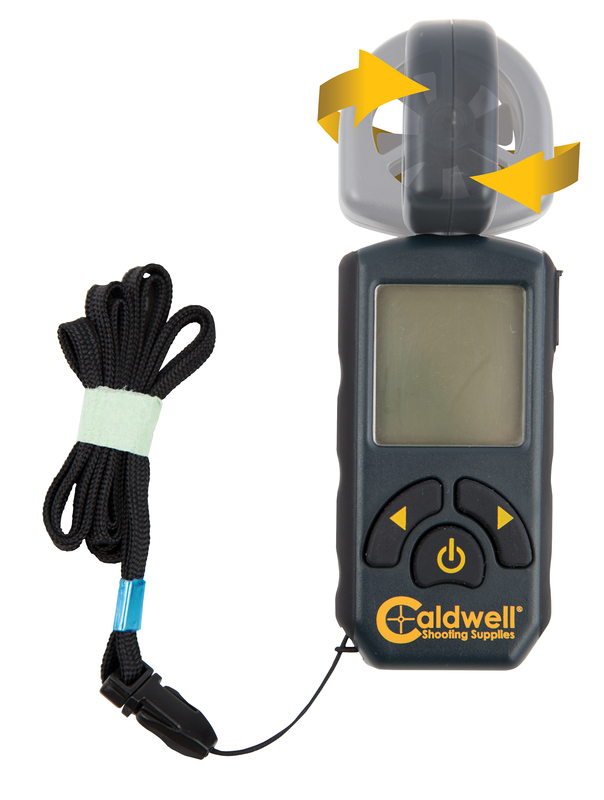 The included holster protects the wind meter and makes it easy to keep handy. The Caldwell® CrossWind™ Professional Wind Meter is the ultimate tool for indicating wind speed and calculating a reliable firing solution. Operates on one CR2032 battery (included).